Craft beer is exploding in Alberta. 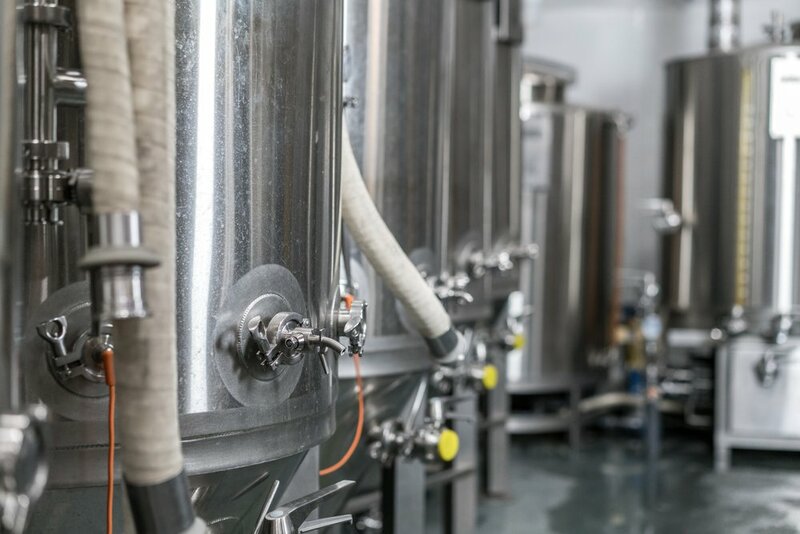 A few short years ago, the first microbreweries were popping up and trying to make it work in a market that didn’t really know what they were offering. Now in 2019 things are expanding at breakneck speed and it would be tough to even visit every brewer in Calgary. 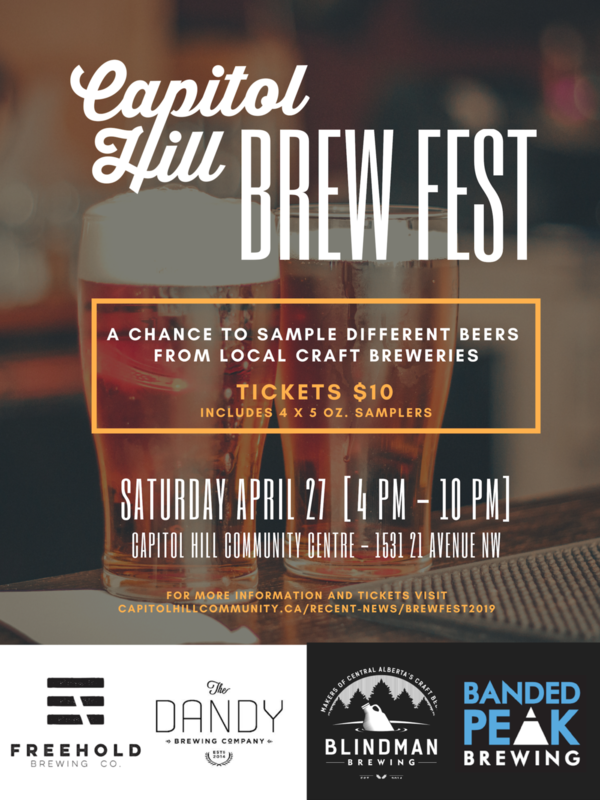 To make this experience easier for you - whether you love your beer or would like to dip your toes into the craft beer universe, Capitol Hill is hosting our first brew festival, providing a family-friendly event for people to try out some of the province’s best beer. These guys hail from Lacombe, 25km north of Red Deer, and are always on the cutting edge of new popular styles. They believe in supporting the places they live and in the people that live there, by sourcing their products locally. My favourite beer from them is their New England Pale Ale, which is a great style that is full of citrus and hoppy notes. The legend goes something like this: three high school friends reunite bringing their outside knowledge of chemistry, cooking and education, and join forces with a business expert. After building and nurturing their idea, The Dandy Brewing Company was born as a fully fledged company in January 2014. Every time you walk into their tap room in Renfrew, there is always a style you haven’t heard from. They pride themselves on being unique, and do a great job at it. 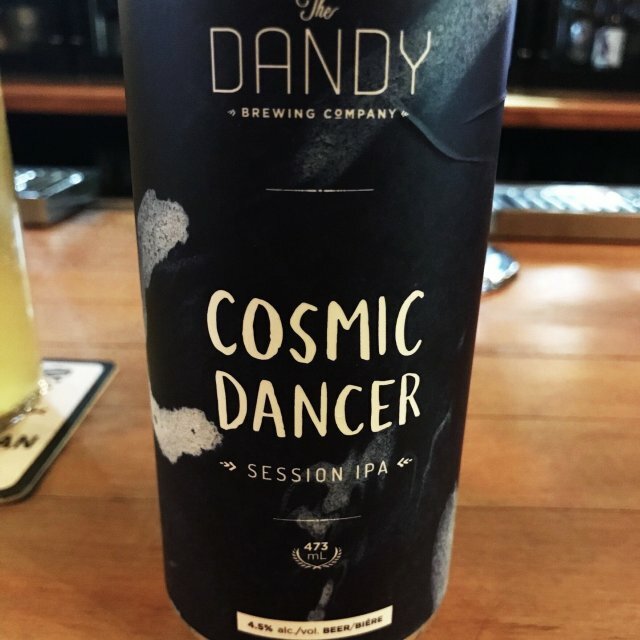 Every summer I look forward to their sub-4% India Session Ale, the Cosmic Dancer. While this brewery doesn’t appear intent on pushing the boundaries, they instead focus on a high-quality, consistent product. And it works. Last summer, I took many cans of Plainsbreaker as I could - a perfect accompaniment for a trip to the cottage, as there’s nothing like a pleasant, slightly hoppy wheat beer, that can appeal to almost everyone. An aromatic, style bending approach to the pale ale. The PlainsBreaker is bursting with late addition hops, boasting a huge tropical flavour and aroma. Well balanced, interesting and very approachable, this beer is for every adventure. 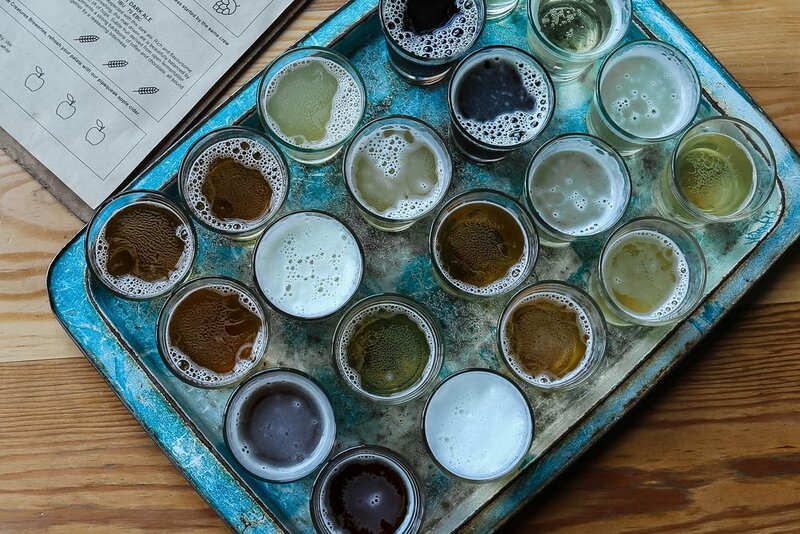 A relative newcomer onto the scene, they have been able to impress with their ability to make craft beer lovers reach for their classic styles. Founded in 2016 by two friends, Freehold sought to encapsulate friendship and conversation, over good food and beer. They aim to bring pride to the province of Alberta and start the conversation #albertabychoice? Freehold is founded on the thought that Albertans choose to carve their own way. A choice made because there is a finally a place that reflects an internal resiliency and the celebration of earnest hard work. Every Albertan in their own way is in their own pursuit of building a better place. A simple question, “How do we tip our caps to this place?”, to remind us of the importance of this question. My favourite recommendation is their Big Chutes, a beer that is rich in body and full of flavour.